Mozilla released a duo of updates today to improve the Firefox experience on both desktop and Android devices. Desktop users should see overall performance improvements with reduced memory usage for add-ons, as well as new gaming and developer features. 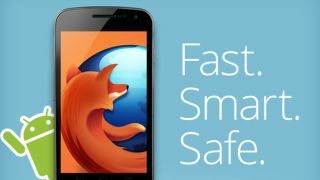 Speaking of Android, Firefox receives a significant update that's compatible with nearly all Android devices. Firefox for Android now features the browser's signature "Awesome Screen" that stores all of a user's browsing history, bookmarks, passwords and form data. All of that info can even be pulled directly from your desktop through the Firefox Sync feature. The mobile browser also receives an overall UI update for Android tablets, making better use of screen space and improving performance for faster load times. Legacy tablet owners even get an enhancement with Flash support now added on Android tablets running Honeycomb. Perhaps the biggest addition to Firefox on Android comes from the improved HTML5 capabilities, opening up new possibilities for web applications. To show off HTML5 on Android, Mozilla released BrowserQuest, a multiplayer role-playing game playable across both the desktop and mobile browsers.